Submitted by mark on Friday, November 28th, 2014 at 10:35 pm. "A new free app for smartphones and tablets telling stories about one of the most dynamic and colourful periods of New Zealand’s history ..."
"....The six app-based tours of Northland – Path to Nationhood – look at some of our earliest events in history when Maori and Pakeha first met before the Treaty of Waitangi was signed, ..."
Submitted by mark on Monday, October 13th, 2014 at 9:53 pm. 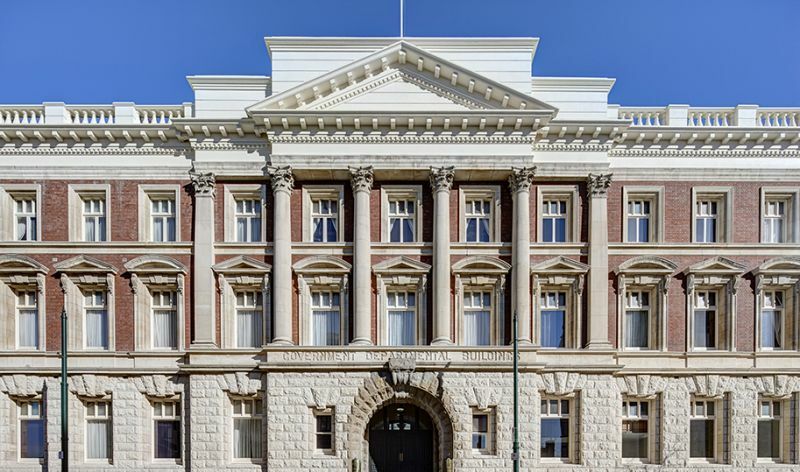 The recently reopened Heritage Christchurch set in the iconic 101 year old Old Government Building on Cathedral Square will open its doors to the public for tours on the afternoon of Sunday 19 October during the Christchurch Heritage Festival. The tours will be at 1PM, 2PM and 3 PM. Tours are free with a voluntary gold coin going to the Historic Places Canterbury welcomed. Submitted by mark on Tuesday, January 21st, 2014 at 3:49 pm. Submitted by mark on Wednesday, April 3rd, 2013 at 4:32 pm. Place: Meet outside Departmental Building, 15 - 21 Stout Street (near Ballance Street) for a tour of two heritage office buildings. The tour will proceed wet or fine. Submitted by mark on Wednesday, April 3rd, 2013 at 10:49 pm. Here is an opportunity to catch up with the history of Waimarama. The tour will be led by local resident and kaumatua, Robert MacDonald who will meet us in Havelock North. We will visit various historic sites around Waimarama followed by lunch at Jarks Café (price included). After lunch we will explore the scenic Hakikino Conservation Reserve. Hakikino is the 15th century ancestral site occupied by the ancestors of the Waimarama Maori people. We will traverse the archaeological remains of the ancient village, and visit protected wetlands sheltering native eels. Robert will also acquaint us with local Maori myths, legends and custom. Submitted by mark on Friday, March 8th, 2013 at 10:30 pm. BYO lunch and some warm clothing just in case. No need for 4WD this time although we are going on good shingle roads up to the stone sheep yards but well worth the view.